The vitreous is the gelatinous-like substance that makes up approximately two-thirds of the eye's volume. The vitreous is located in between the lens, in the front of the eye, and the retina, in the back of the eye. There are normally no blood vessels within the vitreous gel. 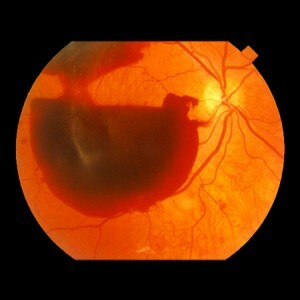 Abnormal blood vessels can grow into the vitreous gel in a variety of eye diseases, most commonly diabetic retinopathy. These blood vessels are often fragile and susceptible to bleeding.